with Monorail Access to the entire Strip! 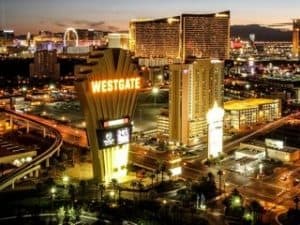 The Westgate Las Vegas Resort & Casino (formerly the Las Vegas Hilton) is celebrated for its storied past as Elvis’ former home , its expansive variety of suites, abundant onsite amenities, superb customer service and prime location . Westgate boasts an extraordinary array of services and amenities, including the world’s largest Race & Sports Book and world class dining.